A new blog for those interested in weather is now up and running. As a member of the Cloud Appreciation Society, that includes me of course. 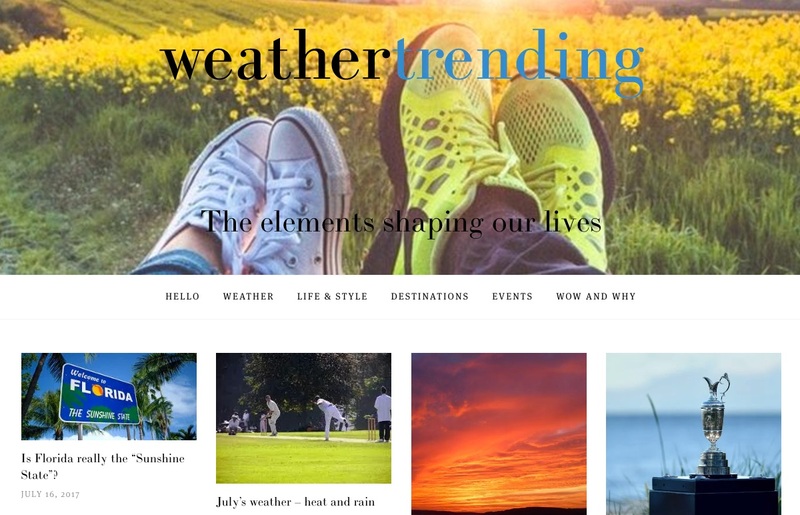 It's written and created by Sara Thornton and John Hammond, who have been on our screens for many years as BBC, ITV and Met Office weather forecasters and presenters. The blog promises daily Quickcasts and discussions on weather issues, as well as relevant forecast and weather stories, such as a look ahead to the potential impact of stormy weather on the weekend's British Open Golf. The format would be a good one to engage students with: perhaps they could record their own Quickcasts, or produce a short discussion of a weather-related topic, or look ahead to a forthcoming event. I remember using an activity where we looked ahead at the weather and provided some specific forecasts for specific members of staff. Mr.... is planning a barbeque at his house on Friday night. Should he get his sausages out, or plan something else instead ? Mrs.... is hoping to play golf on ..... night. If there is a risk of thunderstorms this will not be possible.